We’d love your help. 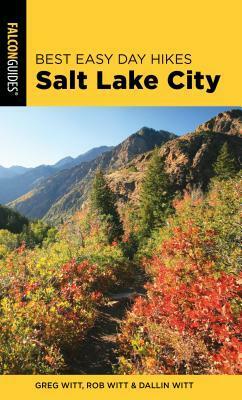 Let us know what’s wrong with this preview of Best Easy Day Hikes Salt Lake City by Greg Witt. Best Easy Day Hikes Salt Lake City features twenty-one easily manageable hikes in this great hiking destination. Where else can you spot elk and raptors and still be within 300 yards of downtown? Discover a range of hikes in Salt Lake Valley, as well as nearby Big Cottonwood Canyon and Little Cottonwood Canyon. To ask other readers questions about Best Easy Day Hikes Salt Lake City, please sign up.